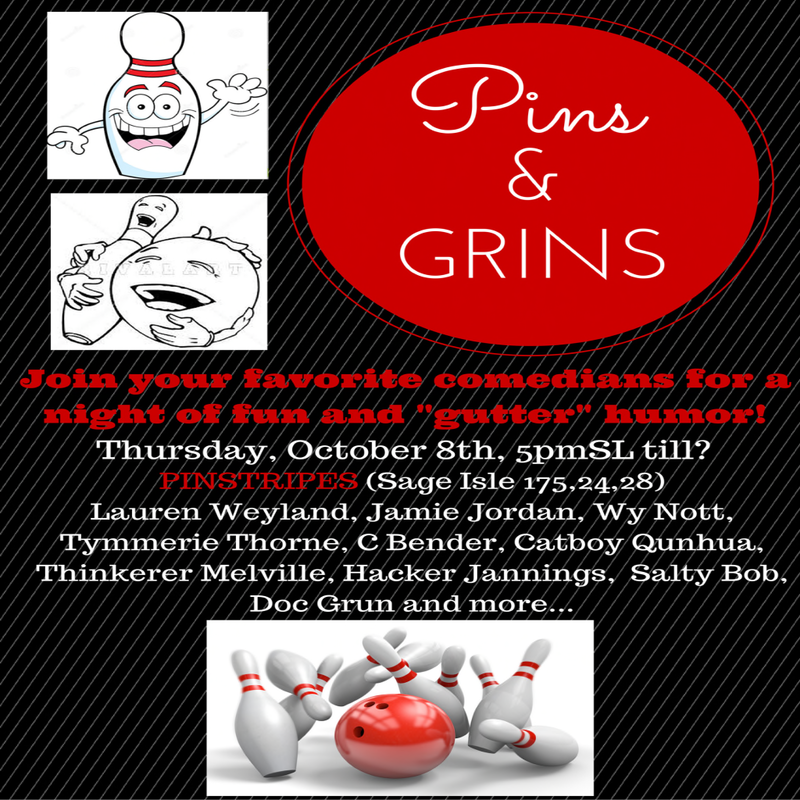 You guys need to grab some bowling shoes and meet me and a bunch of SL comedians at Pinstripes for some fun! My friends ZoeyNewlon and PhotographerC Bender have organized an evening of Second Life bowling and live stand-up comedy! I'm doing a set of comedy for Pins & Grins -- which I am working on as we speak. If there's room on the lanes, I'll be bowling, too. And if there's no room for me to bowl, I'll be behind the counter renting shoes. I have no idea what to wear for the event since Second Life lacks good bowling shirts. I have a bowling shirt, but I think it's from 2012 or 2013. Plus, I had been hoping to find something I could customize so that my shirt wold say that I was an official Pins & Grins Ball Washer. Without a custom shirt, I can only be an unofficial ball washer.